Eager to see her fiancé, Ronny Heaslop (Nigel Havers, TV’s Downton Abbey), who works as a city magistrate in British India, Adela Quested (Judy Davis, Husbands and Wives), travels East with her future husband’s mother, Mrs. Moore (Peggy Ashcroft, The 39 Steps). But cultural differences turn the trip into a living nightmare. It took Lean years to get over the failure of Ryan’s Daughter, but when he was ready to make another movie, he set his eyes on a film about history’s most famous mutiny, the one that occurred aboard the Royal Navy ship HMS Bounty. 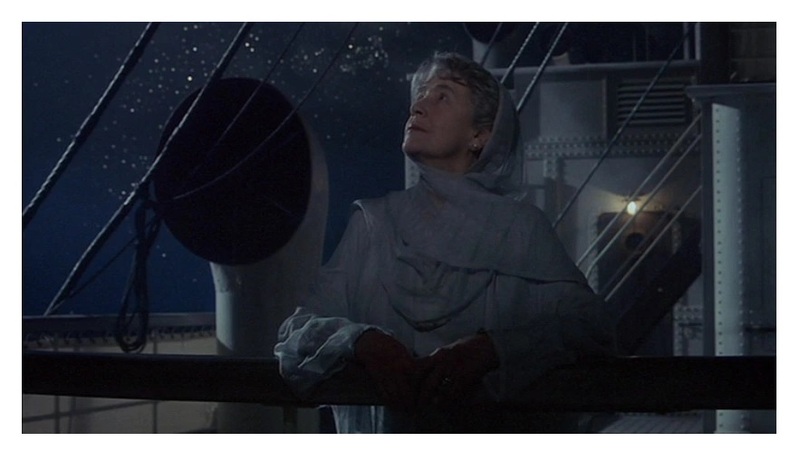 The story, as we all know, had been filmed twice before (1935 and 1962). Lean was eager to create a more accurate depiction of the events. He shopped the property around, but couldn’t find the necessary financial backing (the film was eventually made in 1984, with Mel Gibson and Anthony Hopkins). That’s when Lean was offered the chance to adapt Forster’s novel, which fulfilled Lean’s long-held dream of making a movie in India. 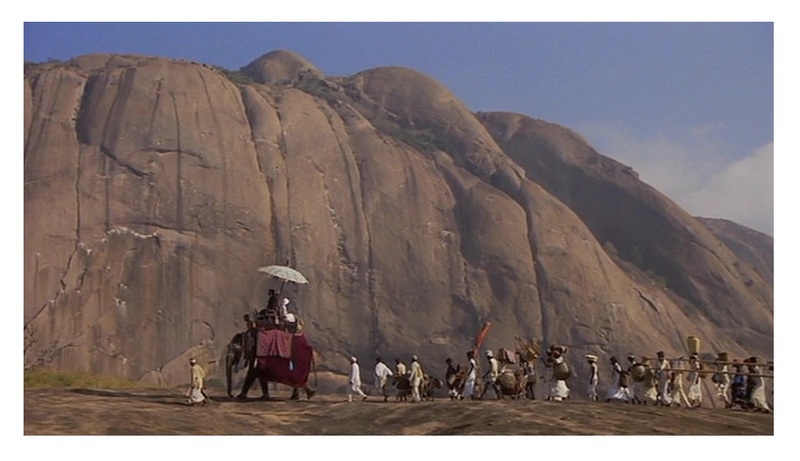 Sadly, the producers agreed to finance A Passage to India on one condition: the movie had to be shot in non-widescreen ratio (the produces were eyeing the TV market). Being a master of 70mm Panavision, this was a real blow to the director’s creativity. Lean never got over this concession. 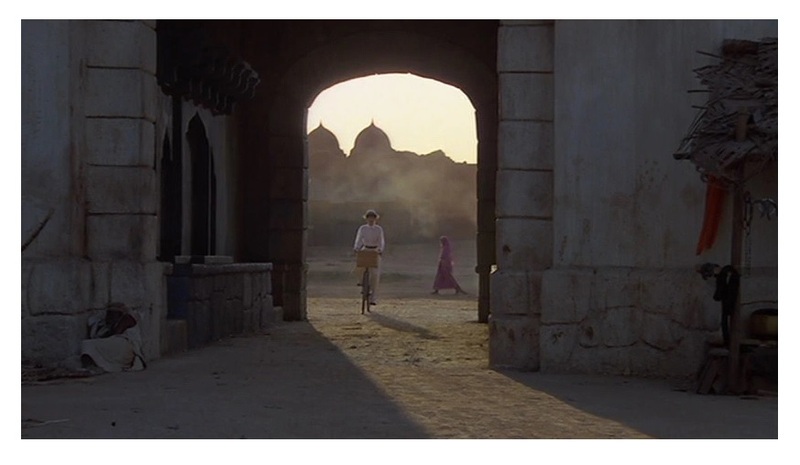 Personally, I thought Ernie Day’s cinematography was very good, but it is clearly not on the same level of Freddie Young’s brilliant work (Lawrence of Arabia, Doctor Zhivago and Ryan’s Daughter). 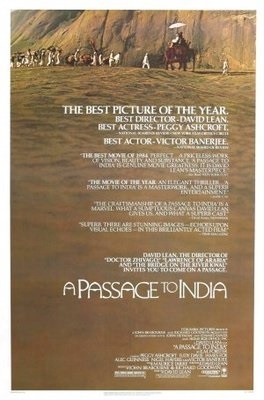 At first glance, A Passage to India appears to be another pretty “coffee table” movie, but there’s more here than meets the eye. This movie goes to the very essence of the British occupation of India, or any occupation for that matter, providing the viewer with a valid moral lesson about the evils of Imperialism that remains true to this date. Lean was very anti-colonial, and that comes across in the movie. 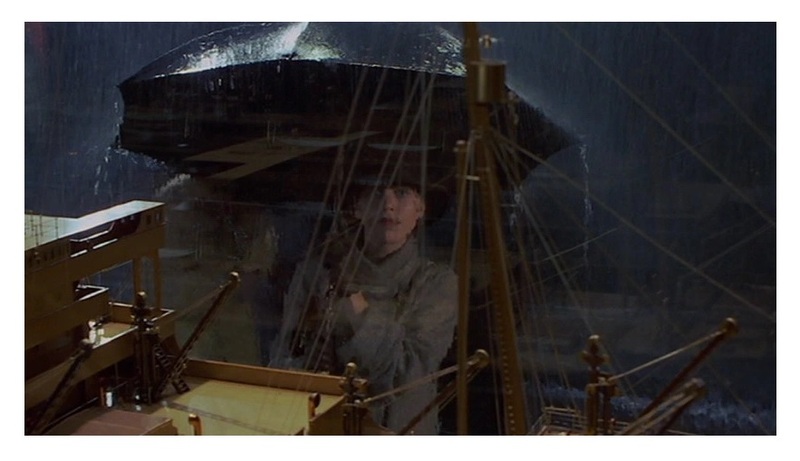 Lean uses Judy Davis’s Adela to illustrate British wrongheadedness. Her story parallels with the story of an Indian doctor, the kindly Aziz (Victor Banerjee, Bitter Moon), who is more British than the British. Lean seems to suggest that Indians shared some blame for their own oppression. If Adela is misguided, then Aziz is an example of Indian naiveté. Both characters are equally foolish though, Lean argues. The director uses, however, these same characters as vessels of hope. Adela and Aziz mature almost simultaneously thus becoming the perfect agents of change. This brilliant paradox can be attributed to author Forster, but I’ll give Lean credit for bringing out the ironies clearly and concisely. As usual, Lean had lots of issues with his crew and actors. Davis outright hated him. Banerjee and Ashcroft refused to follow the director’s instructions, and Lean’s “frienemy,” Sir Alec Guinness (The Bridge on the River Kwai), whose role of the Indian scholar Godbole was cut down considerably, decided that he had enough and stopped speaking to the man responsible for his film career. Speaking of Guinness, the great British actor seems a bit lost here. I didn’t really mind his dark make-up — yes, today it’s even less cool to see a Caucasian play an Indian — but Guinness’s scenes aren’t strong enough. Something is missing here and Guinness blamed Lean for ruining his performance in the editing room. On the other hand, Lean said that Guinness’s overacting forced him to trim down the role — maybe the truth is somewhere in between. Ironically, what you will remember most about this film is the great acting. Davis is absolutely brilliant, and Ashcroft received the Academy Award for Best Supporting Actress. Banerjee is pretty great too. The cast also includes James Fox (Thoroughly Modern Millie) as Fielding, Richard Wilson (A Dry White Season) as Turton, Roshan Seth (Indiana Jones and the Temple of Doom) as Amritrao, and Saeed Jaffrey (Gandhi) as Hamidullah. Lean’s then wife, Sandra Hotz, plays Stella. Maurice Jarre’s Oscar-winning music score, which sounds a bit too much like his score for Ryan’s Daughter (self plagiarism? ), is fantastic. This was never meant to be Lean’s last hurrah. The director toyed with the idea of filming J. G. Ballard’s semi-autobiographical novel Empire of the Sun (producer Steve Spielberg took over the project), before choosing Joseph Conrad’s book Nostromo as his next movie. He died in 1991 while working on the screenplay (Conrad’s book was made into a TV mini-series). A Passage to India is a fine swan song to one of cinema’s greatest filmmakers. Color, 164 minutes, Rated PG.